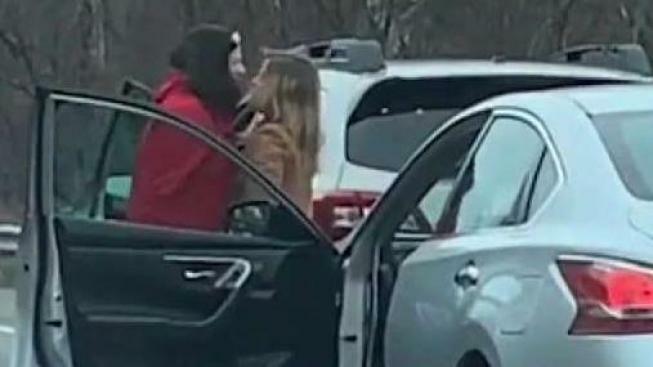 The two Massachusetts women caught on video fighting in the middle of Route 128 last week will face criminal charges, according to state police. 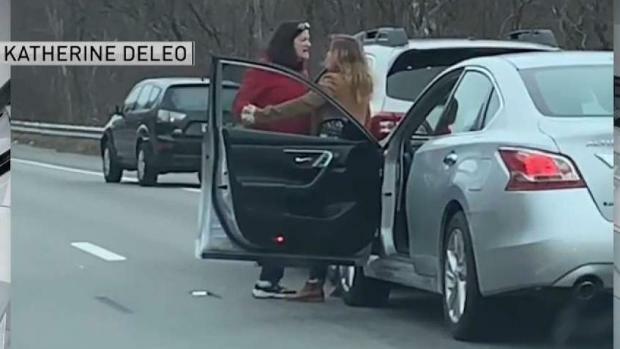 The two women caught on video fighting in the middle of Route 128 last week will face criminal charges, Massachusetts State Police said Monday. A 64-year-old woman from Beverly who was involved in the incident will be summoned to appear in Salem District Court for assault and battery and disorderly conduct. The other woman, a 33-year-old from Gloucester, will be summoned for assault and battery on a 60+/disabled person with injury, disorderly conduct, reckless operation of a motor vehicle, stopping on a state highway/parking and assault. Police did not release the names of the two women. An "immediate threat" has also been filed with the state Registry of Motor Vehicles for both women, state police said. They will have to appear before the RMV to obtain an active status on their driver's licenses. No further information on the charges was immediately available. The road rage incident happened around 10 a.m. Friday on Route 128 south at Exit 21 in Danvers. 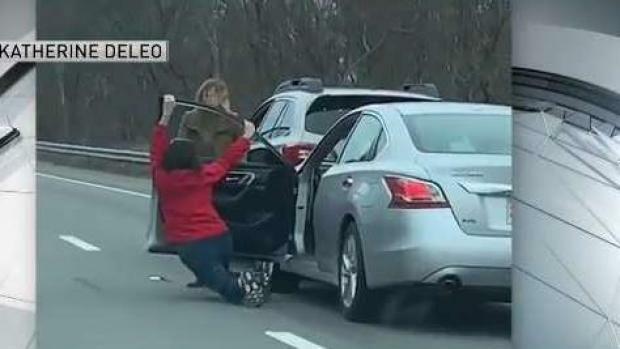 Video taken by an eyewitness showed the two women fighting in the middle of the travel lane of the busy highway. Katherine DeLeo said she shot the video of the fight on her way to the gym. She said the younger woman in the first car, a Subaru Outback, got out of her vehicle and aggressively banged on the window of the Nissan Altima behind her. "She gets out of the car and starts banging on the other lady's window to get out and she gets out and they both start fighting," DeLeo said. The driver of the Nissan then appears to fall, getting out of her car before the fight starts. "This could have been a lot worse, and that goes without saying," state police Lt. Michael Harvey said. "Back in the day, people would beep the horn and maybe do a hand gesture. Those days are gone, and people are pulling weapons." Police said they believe a lane change started the fight.